An impending new year gives rise to reflection and goal setting. 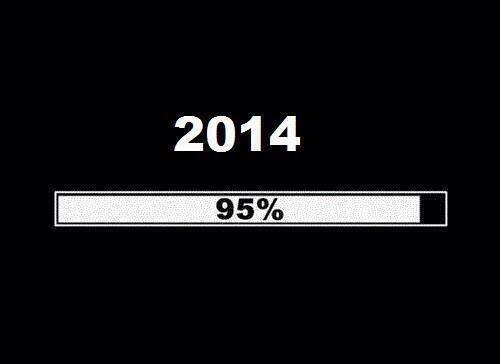 What will your goals for 2014 be? It’s never to early to start thinking about self improvement! Let’s be realistic- how many of us have really reached one of our new year resolutions? Not many. We set unrealistic goals and when obstacles get in our way of reaching those goals, we simply give up and push them off to next year’s new year resolution. And I’ll be honest- I am one of these people. This year, I am going to change it up and actually fulfill my resolution. I will not go with the trend of having many resolutions and not fulfilling any of them completely. Rather, I will have one goal and I will reach it. I will spend 2014 fulfilling that resolution passionately and fully. Now, what exactly is this goal? To get fit. That’s right. Being fit is caring for your body, your health (physically and mentally), and those around you. 2013 was a rough year that impacted my well-being as a whole and I definitely do not wish to return to that point. I am already starting to make changes and I already feel so much better. I can’t imagine how I will feel a year from now if I keep it up. Some of the stuff that I am doing include eating organic and working out on a regular basis. Nothing too crazy, but surprisingly, eating healthier and exercise can do wonders. I feel more focused, happy, and unstressed. Sooo… reflecting on the me in 2013, I am not so proud of myself. But I am happy where I am going and hope that it keeps getting better. Are you good at what you do? What would you like to be better at. I am an accountant. Well, technically, I am still a student but my major is accounting and I plan on charging head first into the realm of public accounting after graduation. It is a scary thought that I have roughly a year and a half left of school and then I transform into an adult. And to be honest, I’m not really good at accounting. Accounting is quite difficult and not as boring as the media plays it out to be. Rather, it’s a very complex game of Sudoku (and a little cat and mouse) to me. In Sudoku, each number is positioned with the utmost care and there has to be a reason why you put the number where you placed it. Similarly, in accounting, each number you see on the financial statements represents something and is placed where it is for a reason (with the exception of plug numbers… they’re just plugs). Now, I’m very skilled in Sudoku, but accounting? Not so much. The difference between accounting and Sudoku is that Sudoku is all about the numbers. 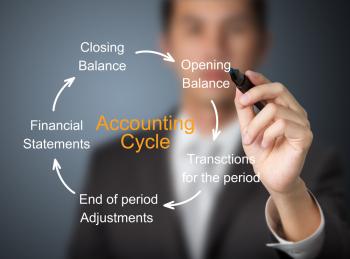 Accounting factors in more than just numbers. It is a business job and in business, you need class and confidence. These two things are gained through experience and practice. I cannot play golf, I do not understand golf, I do not speak golf. Golf is THE business sport and I know nothing but Tiger Woods and Phil Mickelson. Of course golfing is not a necessary skill to have to succeed in accounting, but it certainly wouldn’t hurt to play!